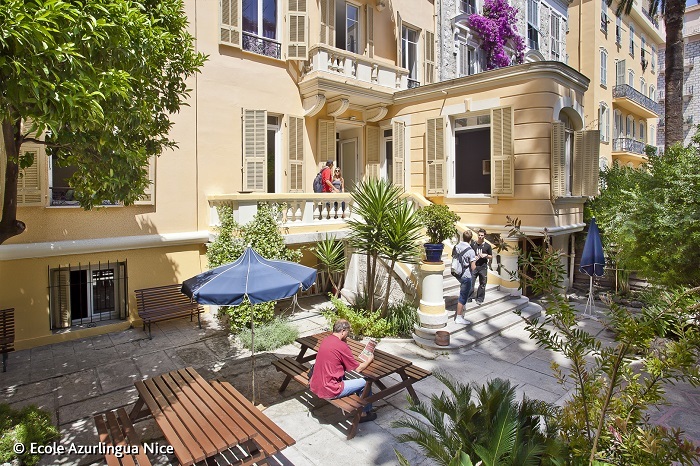 Nice is a university city and a major economic centre for the region of Provence-Alpes-Côte d'Azur, with an international airport and 400,000 inhabitants. It also knows how to charm the visitor with its rich cultural heritage, its gentle climate, its lively streets and famous Promenade des Anglais. This distinctive Mediterranean city offers all these advantages and more. The Azurlingua school, situated right in the heart of Nice, occupies ideal premises comprising classrooms, open access computer room with internet access and a leisure room where students can find a selection of French newspapers and drinks machines.. It is not just by chance that students of more than 40 different nationalities from around the world choose to come here every year to learn French at our language school. The reason is that we offer appropriate course provision, quality accommodation and facilities and a varied leisure program. In addition, our staff share a common educational approach based on enhancing the relationship between those who are learning and those who are teaching, with each student being seen as an individual requiring their full attention. Our courses are an enriching experience from the point of view of the social contacts made and the new cultural horizons explored.